There is a certain time in history when people take consciousness of themselves and ask questions about who they are…Do we exist?…To question our cultures is to question our own existence, our human reality. To confront this fact means to acquire an awareness of ourselves. This in turn becomes a search, a questioning of who we are and how we will realize ourselves. — Ana Mendieta, Dialectics of Isolation (introduction), 1980. It is only in relation to other bodies and many somebodies that anybody is somebody. Don’t get it into to your cotton-picking mind that you are somebody in yourself. — Grace Lee Boggs quoting James (Jimmy) Boggs, Living for Change, 2016. MASS Gallery is pleased to announce our upcoming program, Learning in Public.Conceived as a way of engaging with artists whose practices include live time-based events, Learning in Public is a series of discrete public performances, collaborations, and community engagements taking place in the gallery from September 22 to October 28, 2017. Our series will feature a diverse myriad of artists including Mosaico Experiencia (ATX), Daphane Park (CDMX), Saakred (ATX), Dorian Wood (LA) and is presented in collaboration with COTFG, an Austin-based volunteer-run arts organization supporting creative expression and counterculture community. The work presented by the artists in Learning in Public grapples and engages with such topics as gender identity, power, gentrification, the built and natural environments, spiritual realms and self-care. Performance art trades in the overlap between spectator and performer with an unorthodox approach which privileges fluidity over disciplinary borders. With the artist’s body and psyche at its center, coupled with time and space as its primary medium, this practice carries with it an increased sense of personal risk. MASS presents this series without expectation or desired outcome with an emphasis on providing a safe space for audiences and performers to meet and engage. We want Learning in Public to be welcoming, and we encourage everyone – artists, visitors, and collective members – to be proactive in creating an atmosphere where the safety of others is validated. Please stay tuned to our website and social media feeds for announcements about scheduled events and open gallery hours. Failure School is a humorous but sincere attempt to remove the stigma from our inevitable failures and reintroduce them as a significant and useful part in the development of any practice. Our event will feature collaborative works, guided meditations, film, spoken word and audience engagements around the theme of failure and how it functions in our lives. Often times our voices are sought out for education, knowledge, and clarification under current global conditions. But our very presence within these lands has always been political, our bodies claiming existence as a performative act of visibility. We reimagine this space to prioritize community healing and compassion by exploring our respective ancestral memories that nourish our perseverance. Mineral beings appeared and built an elaborate wheel with a central bed of rocks to cradle my entirety. They whispered in my ears as they gently placed stones on my physical body. From this experience my health vastly improved. There were messages to ponder. playfully guiding willing participants to meet the mineral world. Our respective life experiences have taught us to remain in certain spaces, and to avoid others. There is a population of silent beings responsible for erecting these, but we rarely question the who or the what. I place myself into this space with a purpose of investigation, and the consecrations we as vile urban monsters are capable of. Inspired by the fervor and elegance of the Russian Avant-Garde, alongside the crosscultural explorations of MADÍ and the School of the South, I aim to bridge both personal and formal gaps in the unexplored and incomparable disciplines of theater, dance, and fashion, while working to answer spiritual concerns of corporeality in the transitionary experience (i.e, transfemme/transmasc/nonbinary reality). I look forward to this opportunity to engage in new practices peaked while living abroad. 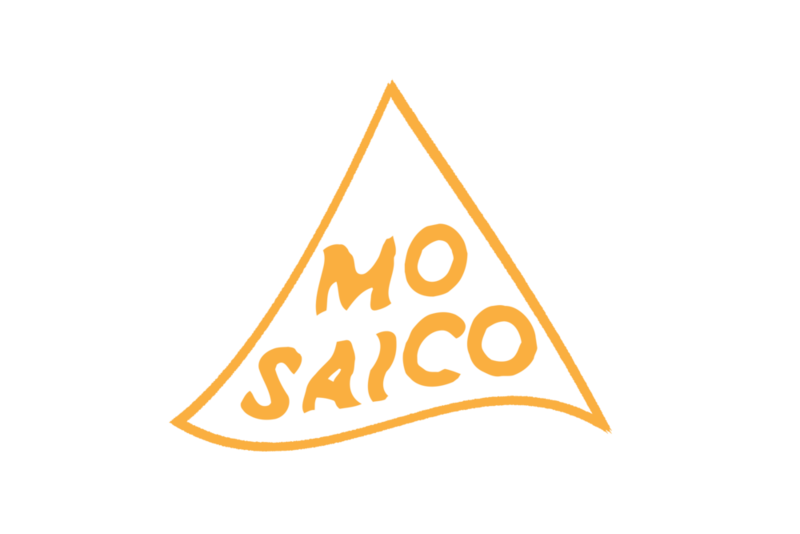 Mosaico Experiencia (Austin, TX) is an intersectional, transcultural instillation for black and brown body memory, ancestral activation, and cathartic evolution. Daphane Park (CDMX) creates conceptual projects, spaces for transformation, and collaborative performance experimenting with energy and healing ritual. Park’s work maintains the sensibility of her beginnings as a painter and a poet. Her work is an inquiry into mythical realms of humanity and highlights a need to question the basic categories and values through which we look at societies today. This is in part an expression of unifying opposites such as science/spirituality, human/non-human, male/female, micro/macro, idealism/realism, and utopic/dystopic, especially in relation to the multiplicity of the forms of nature. In many of Park’s recent sculpture and installation she works to create an energy field from layering carefully selected materials that emulate the accumulation of life itself. These ‘objects of performance’ she refers to as Superconductor, inspired by Wilhelm Reich’s research and discovery of Orgone, are designed to circulate life force energy for anyone to directly participate and decide for themselves. Saakred (Austin, TX) pushes sound, corporeality, and political imagery to the boundaries. What began as an adolescent search for freedom quickly grew into a conceptual stage for testing the limits of vulnerability in public space. Through sensorial experimentalism and an intentional push against the heteronormative standards of male-dominated scenes, Saakred’s current work reflects the personal immediacy and urgency of gender deconstructive, reconstructive, and abolitionist narratives in both contemporary and archaic space. As a trans-identified artist, existence in the Liminal has become defining to their practice; that is, the life-long ritual of transforming the body to be closer inline to the spirit in a seemingly static world – and the expressions that follow. Dorian Wood (Los Angeles, CA) began his musical education at a very early age, continuing his studies at Conservatorio de Castella in Costa Rica, and eventually making his way back to his birthplace of Los Angeles where he first gained exposure performing on the queer bar circuit. With a headstrong DIY discipline, Wood has brought his emotionally-charged performances to concert halls, museums, music venues and performance spaces throughout the US, Mexico, and Europe, with a voice that channels the skill and ferocity of such auteurs as Scott Walker and Nina Simone. COTFG (Austin, TX) is a volunteer run non-profit music and performance series established in 2003. Bringing together a myriad of approaches to sound-organization, COTFG is an opportunity to experience a constellation of diverse artists in new collaborations, electro-acoustic exploration, precisely-notated music, structured and unstructured improvisation, with a commitment to honest experimentation. Please keep in mind, some of the work in Learning in Public presents adult themes and publically engages with the human body in all its aspects. If you are concerned about bringing sensitive viewers that may find our content triggering, we urge you to explore the event descriptions and/or contact the gallery while planning your visit. Everyone entering MASS Gallery is asked to be aware of their language and behavior, and to think about whether it might be harmful to others. We define oppressive behavior as any conduct that demeans, marginalizes, rejects, threatens or harms anyone on the basis of ability, activist experience, age, cultural background, education, ethnicity, gender, immigration status, language, nationality, physical appearance, race, religion, self-expression, sexual orientation, status as a parent or other such factors.